In 2010, cellist Dale Henderson began performing the Bach Cello Suites in the subways of New York City, believing that many people never get a chance to experience classical music live and up close. Henderson declined donations and his efforts received appreciative attention from the media, fans and other musicians. In celebration of Bach’s 326th birthday on March 21, 2011, Henderson invited other musicians to join him, and in following years, this gained momentum throughout the world. 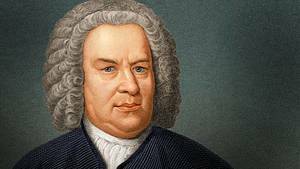 In 2015, for Bach’s 330th birthday, thousands of musicians performed in 150 cities and 40 countries in subway stations, train stations, cafes, malls, etc., in concerts which were open free of charge to all. Since then, it has extended over multiple days, and now musicians around the world unite to connect multitudes with this incredible music. This year marks the 3rd year of participation for the faculty of the College of St. Elizabeth and friends. Performers include: Suji Kim, cellist; Vincent Rufino. Clarinetist; John Kizzie, classical guitarist; Kristin Lamb, flutist (also playing recorder and Irish whistle); John Gavalchin and Frances Covalesky, pianists and Anthony Celentano, organist. We hope you will come and join us for a free, fun and educational experience, followed by fellowship time. The church is located at 99 Main St., Succasunna.